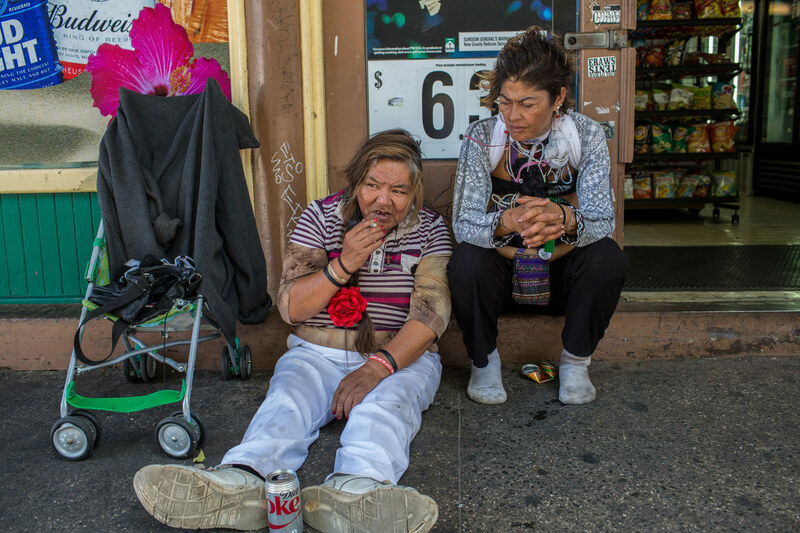 Darlin Abelaye 61, with a friend, keeps an eye out for police in Honolulu's Chinatown. She has lived on the streets for most of her life and has secret hideaways for shelter. "All I want is a little one room apartment," to call home.